In honor of N ational Aviation week, it's ironic that two recent visitors to Pillar Point RV Park, who are both aviators, stayed here within days of each other. 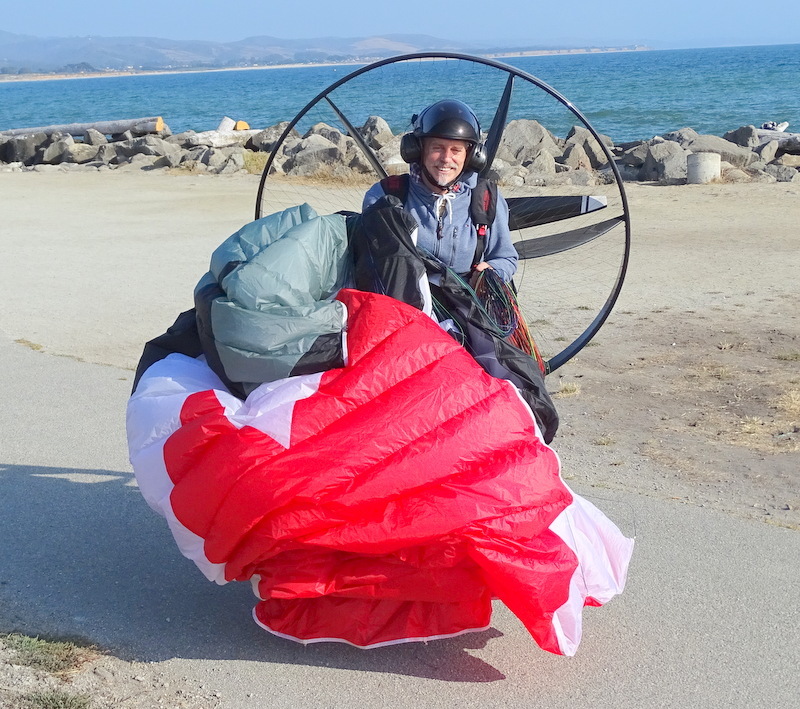 David Kinser and Brian Hewitt are both pilots who also have the hobby of being paragliders! David jumps off mountains and cliffs to soar like a bird, while Brian uses a powered paraglider and can take off wherever there's a small clearing! Half Moon Bay, CA - Pillar Point RV Park - What Is That Flying Contraption?